I think these are the beginning of an obsession. 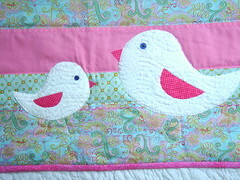 I love the little birds, always have, and also love the clean crisp looks of these quilts. 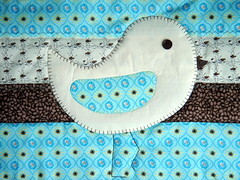 This little guy is appliqued onto blue geometric (it's flowers, but shhhh! ), cream birds, and brown leaf fabrics, definately boyish. The backside is a bright blue and the binding is the brown leaves. It's hard to tell from the photos but I've added coordinating decorative stitching to the frontside. These two, Mommy and Baby according to my kids, are happily chirping away. 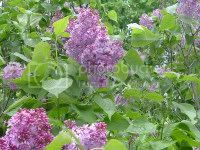 They are chenille and so sweet. The back of this one is a delicate blue floral. Both quilts measure about 43" by 43" and are available in my shop. There are more photos of them on Flickr. 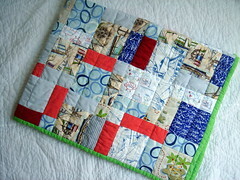 It's a pirate quilt. 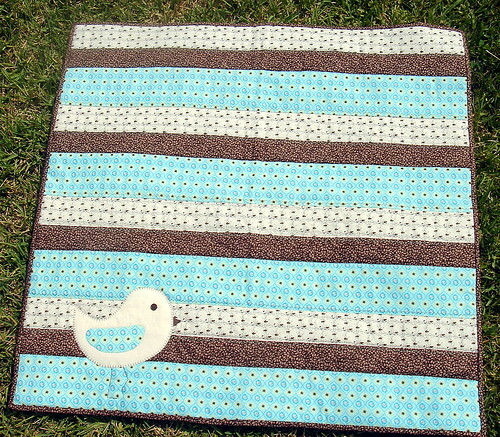 Most of the fabrics are piratey or boats, and the backing is a piratey blue flannel. But it really didn't turn out as planned, and some of the quilting stitches didn't come out as straight as I'd have liked. 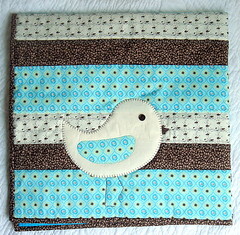 I still love the fabrics, just not together, at least not as much as I thought I might. My boys love it, they are just perfectly happy to look at each piratey piece, and think it's pretty darn cool. 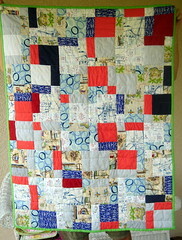 The quilt is a disappearing nine-patch and measures about 43" by 50". I have no plans for this one. 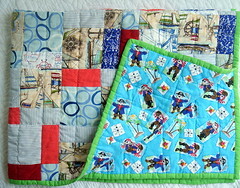 SO here it is for the taking ... be the first to post that you'd like this piratey quilt, and have a good home for it, and I"ll send it to you in the mail! I'll be very happy to see it go to someone who'll appreciate it. Getting the lighting right when photographing things is a real problem, isn't it! I've found I have to photograph things in my back room in the morning and my front room in the afternoon to make the best of the light. I've also been told that altering the 'white balance' on my camera can make it look more like natural daylight...but have yet to fiddle around with this. Hey;) did she say she had a home for it? ARGH! Me missed the piratey quilt matey! 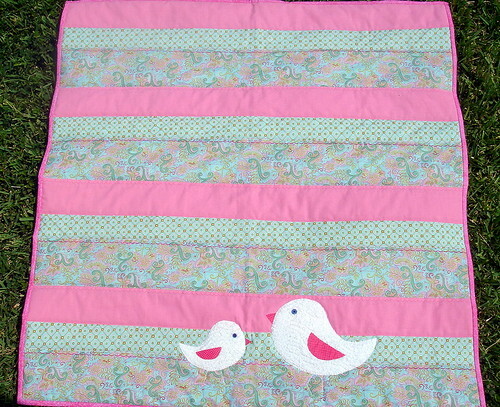 Me will have to grab the birdie quilt before it walks the plank. ARGH! Didn't I already claim this BEFORE it was made?! for my son's b-day next week... oh. my. goodness. You're giving that away!!! So generous. Too bad I didn't check my bloglines sooner. C. is taking a photography class in school. Every day I remind her that her goal is to take good pictures for me (well, it may not be HER goal, but it's mine! ).